On 25 July 2017, RESISTANCE™ will land on Ibiza for the opening night of an eight-week residency at the world’s largest nightclub, Privilege. The brand’s first official foray onto the White Isle, the night will run every Tuesday from 25 July until the official closing party on 12 September. 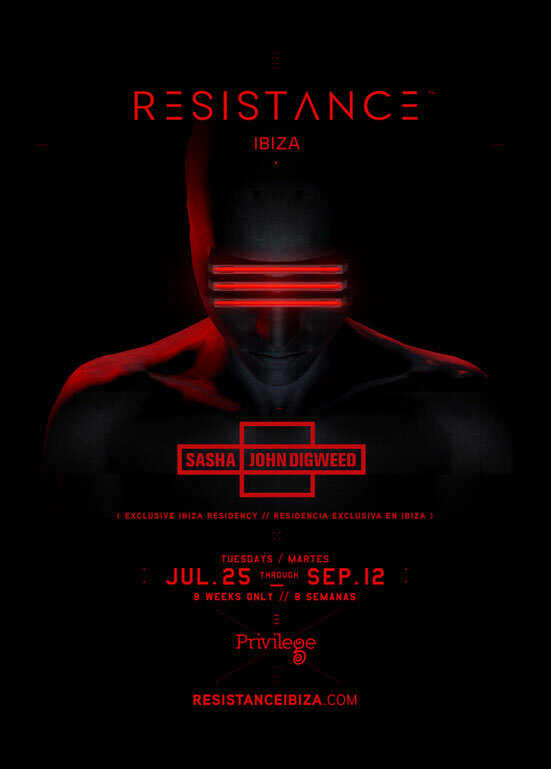 Confirmed for the first six parties, British DJ/producers Sasha & John Digweed have been announced for an exclusive Ibiza residency, with the pair making no other appearances together on the island this summer. 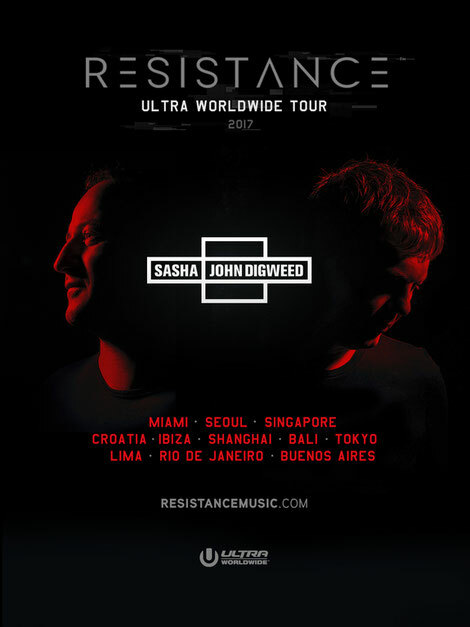 This exclusive Ibiza residency forms part of Sasha & John Digweed’s huge RESISTANCE™ World Tour, with the duo set to perform together at events in 11 destinations this year – Miami, Korea, Singapore, Croatia, Ibiza, China, Bali, Japan, Brazil, Argentina & Peru.